If you need something that will give you exposure for your brand every time your customers put them to use then choose promotional mugs. 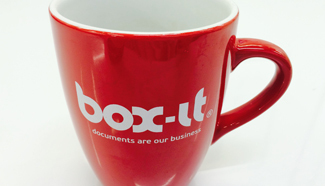 Mugs will find their way in your customers’ homes, offices and vehicles, gaining your logo maximum visibility. We have a wide selection of printed mugs available in different styles, shapes and designs. If you are looking for innovative types of personalised mugs to give away to customers you will not be disappointed with our full-colour mugs. Get your mug decorated with your company details or logo, and you have great marketing tools that will display your brand to potential customers every time they have a cup of tea or coffee.